A visiting dignitary is honoured with a symbolic key to the city as a token of respect, but for eternity the keys to the kingdom of Heaven have been placed by the Messiah himself, out of respect to one of his greatest disciples, into the hand of a man called Peter,the constant companion and beloved friend of Jesus Christ. This magnificent disciple, whom trust places at the gates of heaven to examine the credentials of those who would enter, had a master key in his lifetime which unlocked the hearts of men to admit the Saviour, and his wisdom was the key to men's minds which in turn admitted the intelligence to give meaning to the Christian faith. Brought to Jesus by his brother Andrew, a fisherman like himself, Peter forthwith acknowledged the Master and undertook a lifetime of casting his fisherman's nets for the sake of Jesus Christ and so excelled himself in his personal and total dedication to the Saviour that in the two thousand years that have elapsed any roll call of the disciples finds the name of Peter among the most prominent. He ranks with St. Paul as one without whom the new Faith could not have survived the whips and scorns of the pagan era of superstition and spiritual darkness. Several accounts are given in the New Testament about St, Peter and his strong bond with the Nazarene, but the stirring passage in Matthew should be etched in the mind of every Christian, that which says "And I say to thee that thou art Peter and upon this rock I will build my Church, and the gates of hell will not prevail against it. I will give thee the keys of the Kingdom of the Heavens, and whatsoever thou shalt bind on earth shall be bound in the heavens, and whatsoever thou shalt loose on earth shall be loosed in the heavens." This divine authority vested in Peter as well as to all of the disciples of Christ, placed a sacred trust in Peter, whose name means, "rock" from the Greek word petra. It was upon this rock of faith, as depicted in holy Scripture, that the formation of the Christian Church, the disciples' handywork, was not only a success but a triumph as well. Peter, the redoubtable fisherman who had never strayed far from his home in Capernaum on the shores of Galilee, was at the side of Jesus in his ministry throughout the Holy Land and as one of his closest apostles planned the campaigns for the winning of converts. In the course of this spiritual campaign, he came to witness the many miracles of the Master, such as the walking on water, the miracle of the loaves and fishes and, many others which were to lend an aura of divine authority to all of the apostles in the stewardship of the Church. Peter, together with many others, was privileged to witness the glorious resurrection of Christ, an event which all Christendom views with such reverence as to regard the first followers of Christ, as next to divine. Peter struck out on his own in the missionary work of renewed dedication after the death of Jesus, but he favoured Jerusalem and together with other followers of Christ assisted diligently in the formation of the Christian community in Jerusalem. Peter, whose presence at Gethsemane had further fuelled the fires of Christian zeal in his heart, joined John in Samaria, Lydda, Joppa, and Caesaria in a propagation of the truth of the Messiah, but returning to Jerusalem found that a famine had set in and that the Christian community was somehow being blamed for the economic woes that ravaged the land. With the help of Paul and Barnabas they restored thconfidence of the people and led them out of their hapless state to an era of new prosperity. Ultimately Peter established the first church in the ancient city of Antioch and became its first bishop. Later in Rome, he was sentenced by Nero to be crucified, a manner of death in which he emulated the Messiah. Whenever the storms of controversy within the Christian Church have cast a shadow on the Cross of Jesus Christ, the clouds have been rolled back by the spiritual brighteness, undiminished by the centuries, of the magnificent St. Paul. Most Christians agree that were it not for St. Paul, the new faith of Jesus Christ would have never taken hold to become the mainstay of Western civilization, The total commitment of St. Paul to the Messiah, for which he ultimately sacrificed his life, brought the message of Jesus to the nucleus of Christians over a period of thirty years and assured the permanency of the truth of the Savior. It was Christ, of course, who planted the seeds, but it was St. Paul who nourished the garden of Christendom. St. Paul was born in Tarsus, a flourishing crossroads city in Cilicia, Asia Minor. He received his religious training in Jerusalem under the renowned rabbinical tutor Gamaliel, from whom he absorbed the teaching of the Pharisees with intensity and sincerity. He deplored the acceptance of the Messiah as heresy to his religion and as an affront to the Law of the ancient covenant. Armed with articles of condemnation from his council, he set out for Damascus with an avowed purpose of wiping out this new belief in Jesus Christ. On the road to Damascus he met Jesus. This is perhaps the most dramatic turnabout in history, one that was destined to alter the course of the world. St. Paul embraced as the Messiah the man whom he had set out to destroy; thereafter he devoted himself with deep conviction to the truth of Christianity. The conversion alone of this profoundly religious man is in itself testimony to the reality of the Messiah's divinity. Although not one of the twelve disciples of Christ, Paul linked himself with the apostles and became the greatest apostolic missionary of all time. A brilliant orator and writer, he was sensitive to the needs and moods of the various tribes of both Greek and Near Eastern backgrounds. Furthermore, he was intelligent enough to cope with the problems that beset the new faith at every turn. St. Paul, a man of small physical stature, cast a giant shadow upon the missionary scene as he traveled the length and breadth of the ancient Eastern world. He had success following success in the vast areas of Asia, Greece, Cyprus, Macedonia, and eventually Rome, where his most noble purpose was to prove his undoing. He had a fondness for Jerusalem, for whose poor he continually solicited funds. Moreover, he envisioned a union of the Jewish and Christian communities, a project which was to prove dangerous. He met James in Jerusalem and together they sought a means to bring this laudable plan into being. However, he encountered not love but outright hostility. In fact, he had to be saved from an angry mob by the Roman authorities, who placed him aboard a ship bound for Rome, where he arrived after a tossed voyage. St. Paul had always wanted to use the eternal city with its strategic position in the empire, from which the spread of Christianity could be projected. Although he preached in Rome for two years, his ambitions were never completely realized, except for the production of his masterful Pastoral Letters. Despite his frail health he continued his work for Christ at an accelerated pace, but his enthusiastic love for the Savior also brought him the resentment of certain influential elements in Rome. When his enemies had done their worst, he was brought to trial and met a marytr's death about A.D. 67. The true greatness of Paul is discerned in his writings, particularly his epistles. As author of almost half of the twenty-seven books of the New Testament, he has influenced Christianity as no other man with the exception of Jesus himself. Even after nearly two thousand years, St. Paul's candor, freshness, clarity, and perceptiveness in his writings are as welcome as sunrise. 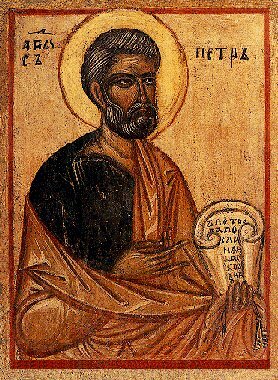 Orthodox Christianity remembers St. Paul each year on 29th June and as one of the Apostles on June 30.